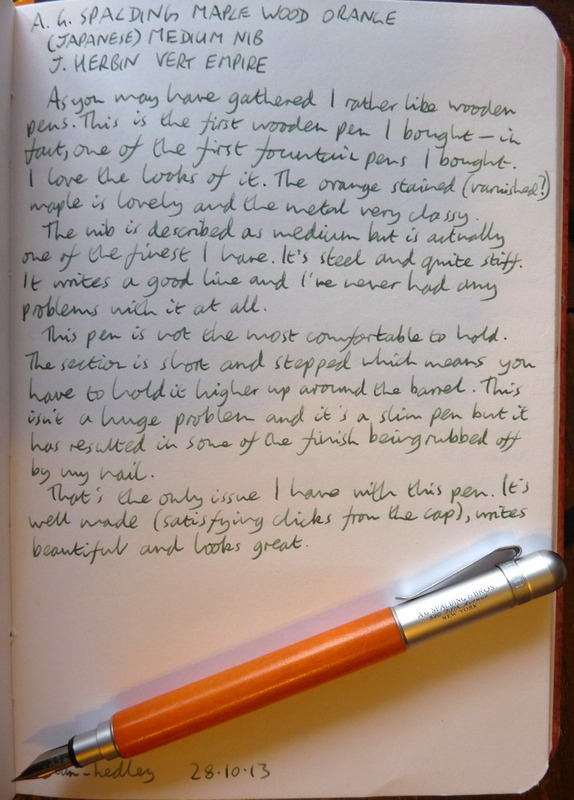 A. G. Spalding Maple Wood Orange Fountain pen review – Pens! Paper! Pencils! I am a big fan of wooden barrelled pens. 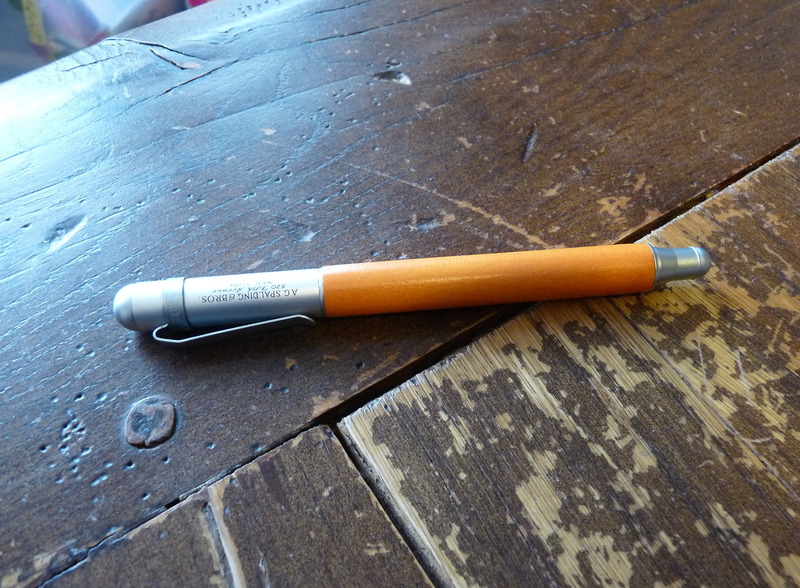 This was the first one I bought: an import from Jet Pens, which led to a lesson in British customs charges. 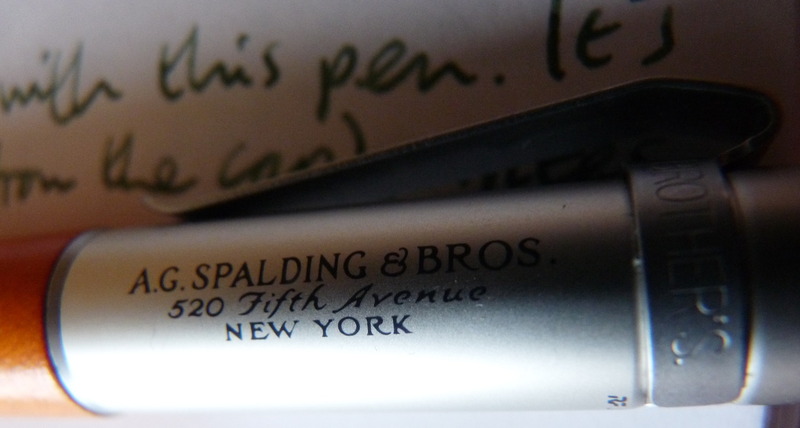 It was worth it though because this is a pen with a lovely Japanese nib (described as a medium but finer than most of my extra-fine nibs) and classy good looks. The orange coloured maple looks beautiful and the metal cap, end cap and section are tastefully done. Even the branding on the cap adds to rather than detracts from the design. Where the design falls down, though, is with the section, which is impossible to hold comfortably. 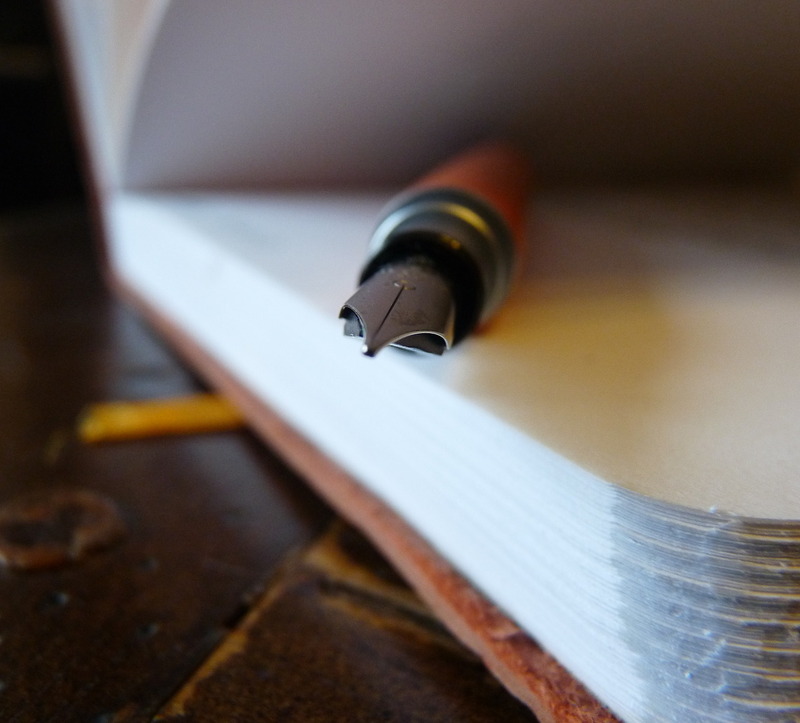 It’s too short and it’s stepped which means you have to hold the pen higher up which means two things. The varnish wears off where your fingernails rub and it’s none too comfortable to write with for long periods of time. 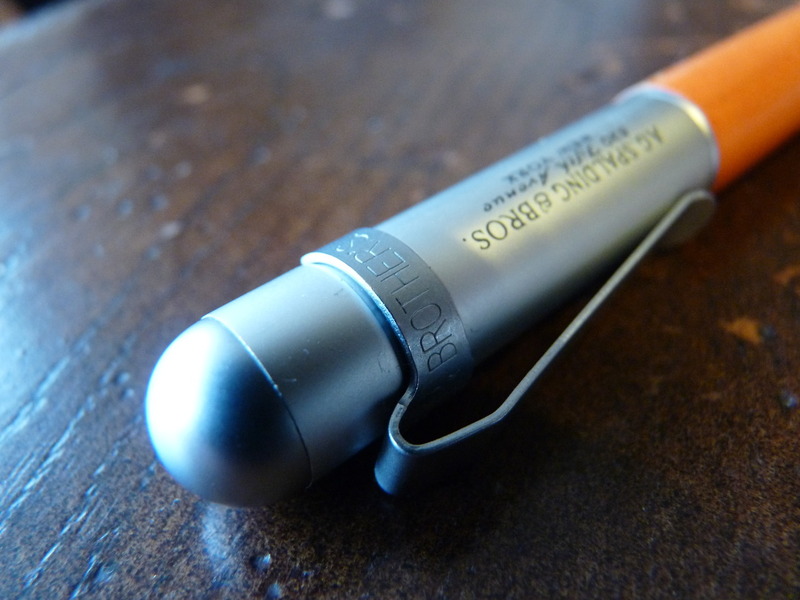 For me, the quality of the nib and the fantastic looks make this a worthwhile purchase. I can live with the long-term uncomfortableness because of the short-term loveliness.